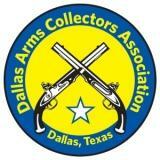 Welcome to the Dallas Arms Collectors Gun Show at Market Hall! We present the finest firearms collectors show in Texas and look forward to having you join us. Safety is our 1 priority, please read and be prepared to follow these guidelines. All firearms must be unloaded outside building. Upon entering the building, a member of our Safety Committee will inspect your firearm and magazines. The firearm will be tied inoperable and remain so while in the show. All magazines must be out of the firearm and no loaded magazines are allowed. The Rifles, Shotguns, modern sporting and club firearms, reloading gear and general accessories, books,medals, archery equipment, knives, swords, safes and security equipment, fishing tackle, trinkets and novelties, medieval armour and weaponry, videos, scopes and binoculars, watches, recreational and leisure gear, ammunition, miliitaria, historical memorabilia will be the major exhibits of the show.